ARTICLE BY PRABHJOT SINGH SANDHU IN THE “ PUNJAB EXPRESS” DATE 1.3.2011. BACKGOUND TO THE REPLY BY MAHANBIR SINGH GREWAL DATED 20.3.2011. Punjabi and reads all the Punjabi Newspapers in Australia regularly. He informed me that there was an article in the recent Punjab Express Newspaper, written by a Prabhjot Singh Sandhu that I should read as the article had mentioned my name in the article and IT also concerned the 24th. 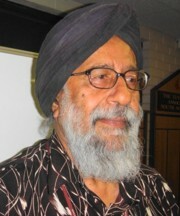 Australian Sikh Games which are due to be held in Adelaide from 22.4.2011 to 24.4.2011. I thanked him for the information and started to search for a copy of the Punjab Express Newspaper. As I could not readily locate a copy in Adelaide, I phoned another friend interstate to email me a copy of the article in question, which I received at about 6 pm on Thursday 10th. March 2011. I must confess from the very start that I am not an avid reader of Punjabi Newspapers but do glance at the Headlines of any Punjabi Newspaper that comes my way. I left Punjab in 1953 and my command of Punjabi is of that era as I migrated to Malaya – now Malaysia – and then came to Australia in 1980. However in Malaysia I did have a Distinction in my Punjabi paper at School Certificate level in 1956. However there are a lot of new Punjabi words and meanings since 1953 and hence my present difficulty. Anyway I read the article diligently that night and now wish to respond to both Prabhjot & Rajwant – Editor of Punjab Express – as I presume that this article would not have been printed without approval from Rajwant. 2. Banning of Punjabi Newspapers in Gurdwaras Craigeburn & Minto. 5. 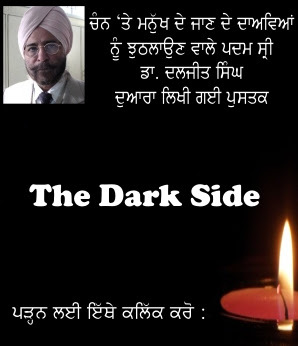 GURMUKHI LINK IN THE ANSSACC WEBSITE MISSING. 7. NO INFORMATION OF THE GAMES AVAILABLE. 10. “RUDE LANGUAGE” BY OFFICIALS OF GAMES WHEN QUESTIONED ABOUT THE GAMES. DEAR PUNJABI READERS OF NEWSPAPERS – ALL AROUND THE WORLD HAVING READ THE ABOVE ARTICLE, MY FIRST INSTINCT WAS TO RING BOTH PRABHJOT AND RAJWANT & THANK THEM FOR POINTING OUT THE MISTAKES IN THE HINDI FONTS – AS I CANNOT READ HINDI AT ALL - AND INFORM THEM THAT MY WEB DESIGNER WAS WAITING TO OBTAIN PUNJABI FONTS AND ADD GURU NANAK’S MESSAGEIN PUNJABI & THAT IT WAS NOT A DELIBERATE ATTEMT TO DOWNGRADE PUNJABI,WHICH IS MY MOTHERTONGUE AS WELL - ALTHOUGH A BIT ROUGH AND RUSTY COMPARED TO THE MODERN DAY PUNJABI. HOWEVER AS I READ MORE THE REST OF THE ARTICLE, I BEGAN TO REALISE THAT THE INTENT OF THIS ARTICLE WAS NOT JUST TO POINT TO AN ERROR IN HINDI SPELLINGS BUT IT HAD MORE AND MORE A DIFFERENT SLANT AND SOME STATEMENTS VERY DUBVIOUS AND BORDERING ON DEVIOUS. HENCE MY REPLY NEEDED TO BE MORE APPROPRIATE AND POINTED AS READERS OF NEWSPAPERS IN PUNJABI WILL OTHERWISE NOT BE WELL INFORMED ABOUT THE DUBVIOUS REALITY OF THE ARTICLE. I WILL START BY DEFINING A FEW FACTS FOR THE READERS TO PONDER & PERHAPS JOIN IN MY THINKING AS WELL. MSG REPLY TO THE ARTICLE BY PRABHJOT SINGH SANDHU & PUBLISHED BY RAJWANT SINGH AS EDITOR OF PUNJAB EXPRESS NEWS PAPER ON 1.3.2011. THERE ARE 3 QUESTIONS WHICH NEED CLARIFICATION IN ORDER TO ADDRESS THIS ARTICLE PROPERLY. HENCE MY REPLY WILL BE IN 3 PARTS AND A FINAL SUMMARY TO COMPLETE MY REPLY TO PRABHJOT & RAJWANT. 1. WHAT IS THE PURPOSE OF A WEBSITE - TO INFORM FACTS ABOUT THE PRODUCT OR EVENT. LET US FIRST EXAMINE THE ADELAIDE SIKH GAMES WEBSITE AND YOU WILL FIND THE FOLLOWING HEADINGS OF THE NEWS & THE DATES OF POSTING ABOUT THE SIKH GAMES IN ADELAIDE. NEWS ITEMS ON THE WEBSITE OF THE ADELAIDE GAMES. 19. EARLY BIRD ANNUAL DINNER TICKETS POSTED ON 10.3.2011. 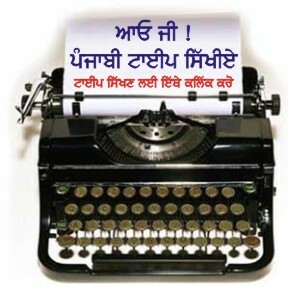 MAY I END THE FIRST PART OF MY REPLY BY ASKING READERS OF PUNJABI NEWS PAPERS TO LOOK AT THE ADELAIDE GAMES WEBSITE A LITTLE CLOSELY AND EVALUTE THE ARTICLE BY PRABHJOT SINGH SANDHU & PRINTED BY RAJWANT SINGH, EDITOR 0F PUNJAB EXPRESS & DATED 1.3.2011. 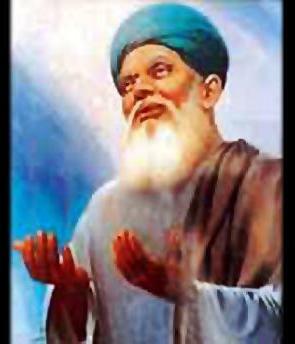 GURU NANAK SOCIETY OF AUSTRALIA. ADELAIDE.